Beginning at the potter's wheel, Radca works with as much as 50 pounds of clay to produce vessels over five feet in height - something few potters have been able to master. 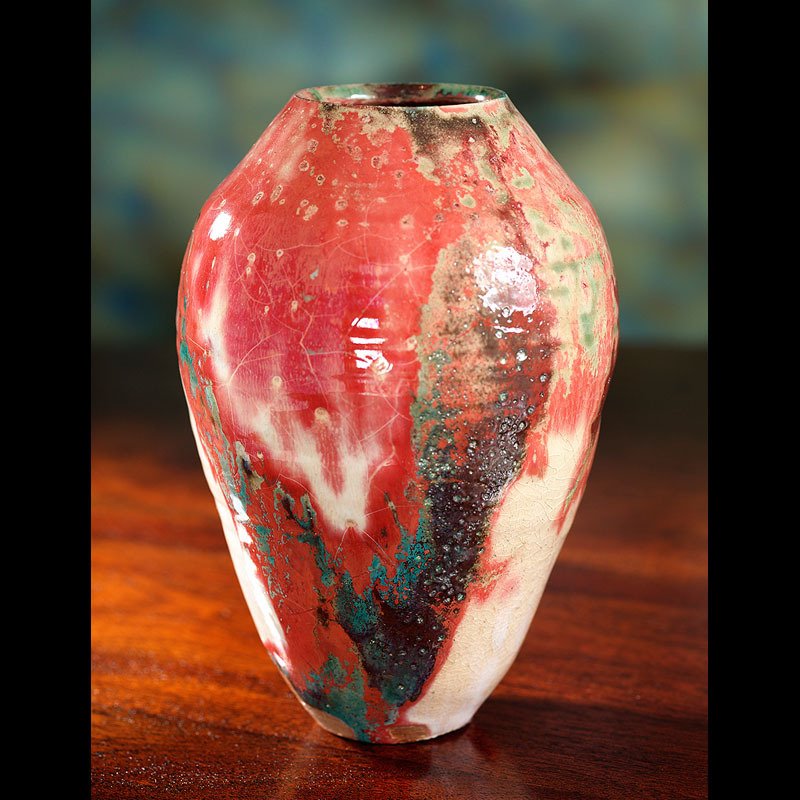 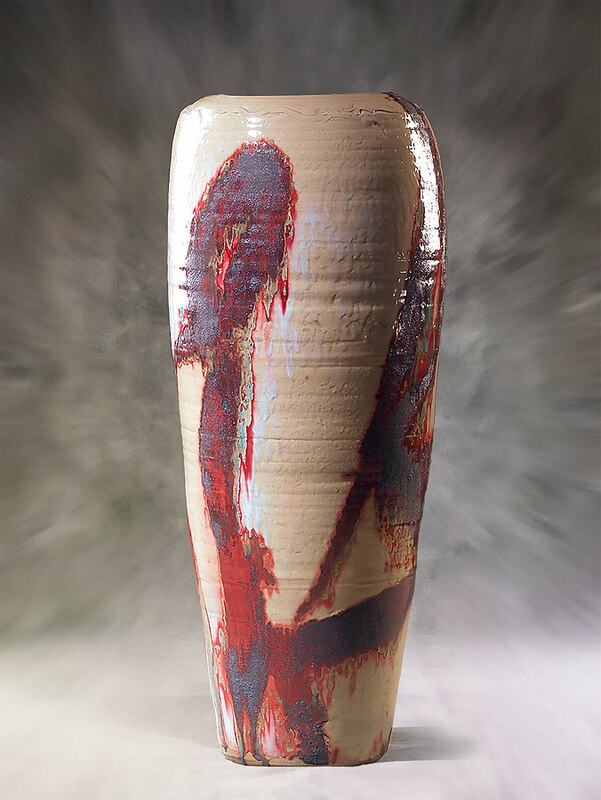 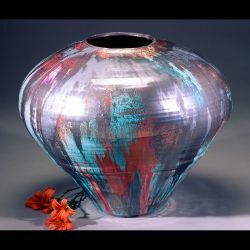 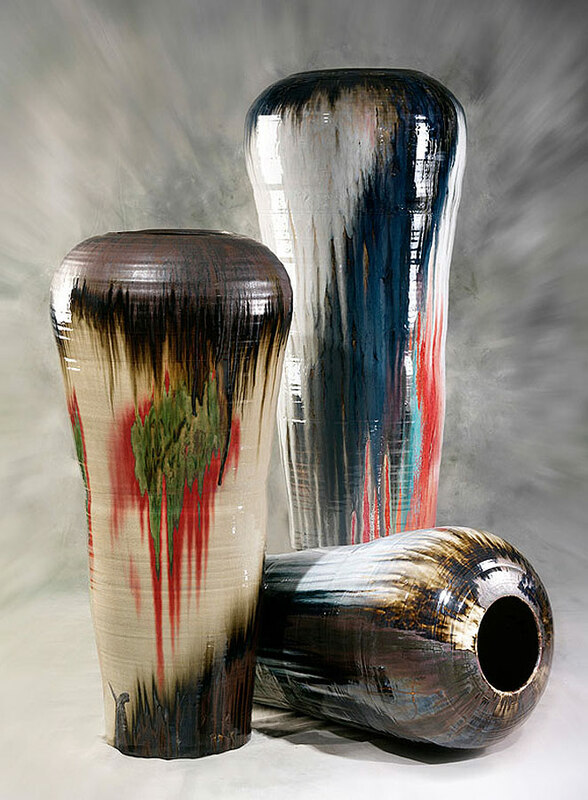 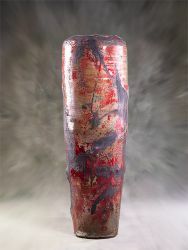 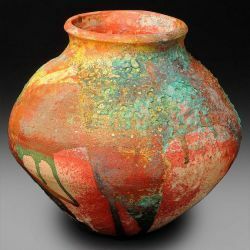 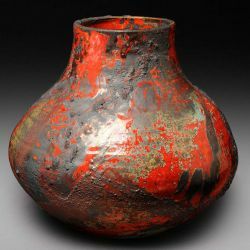 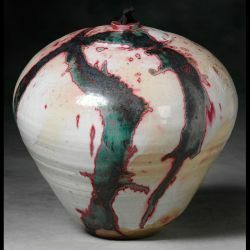 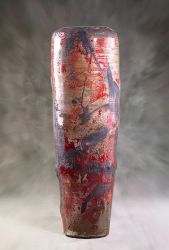 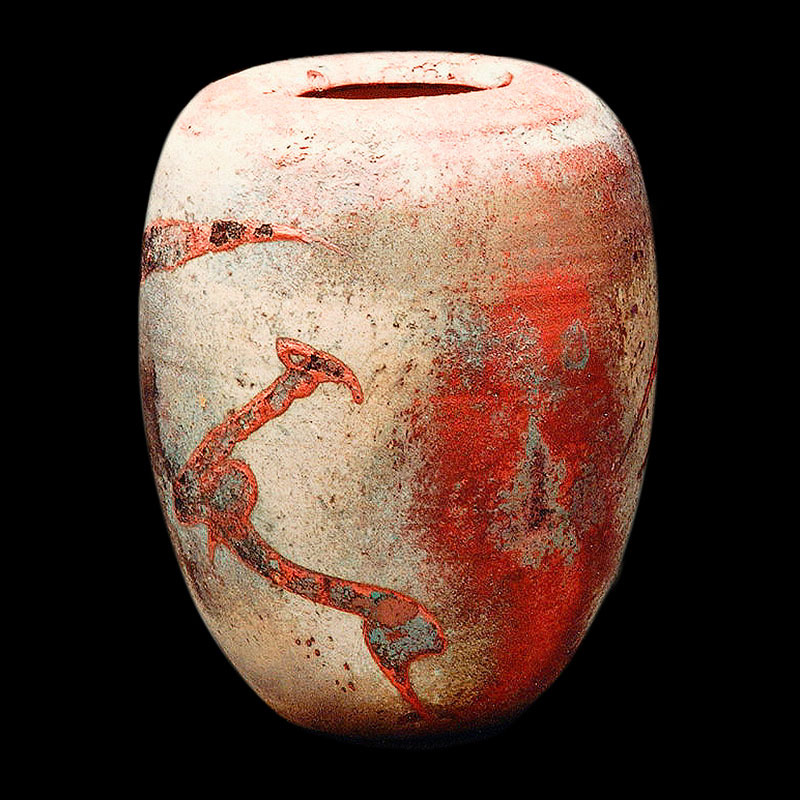 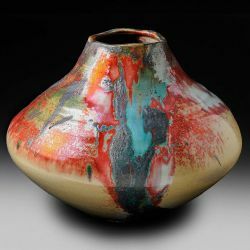 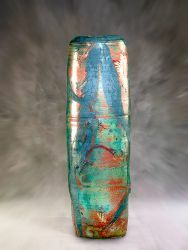 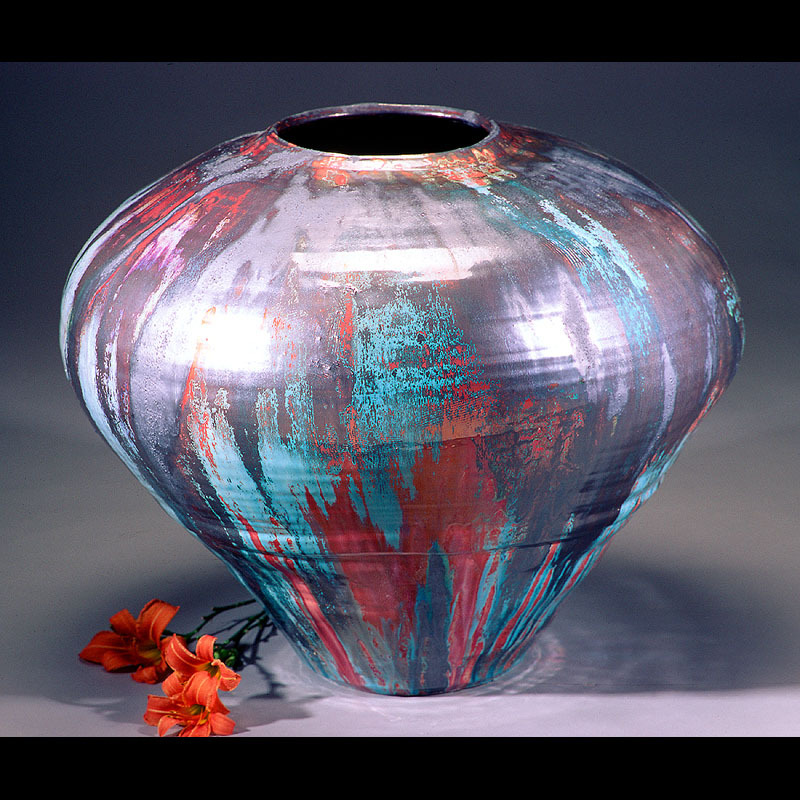 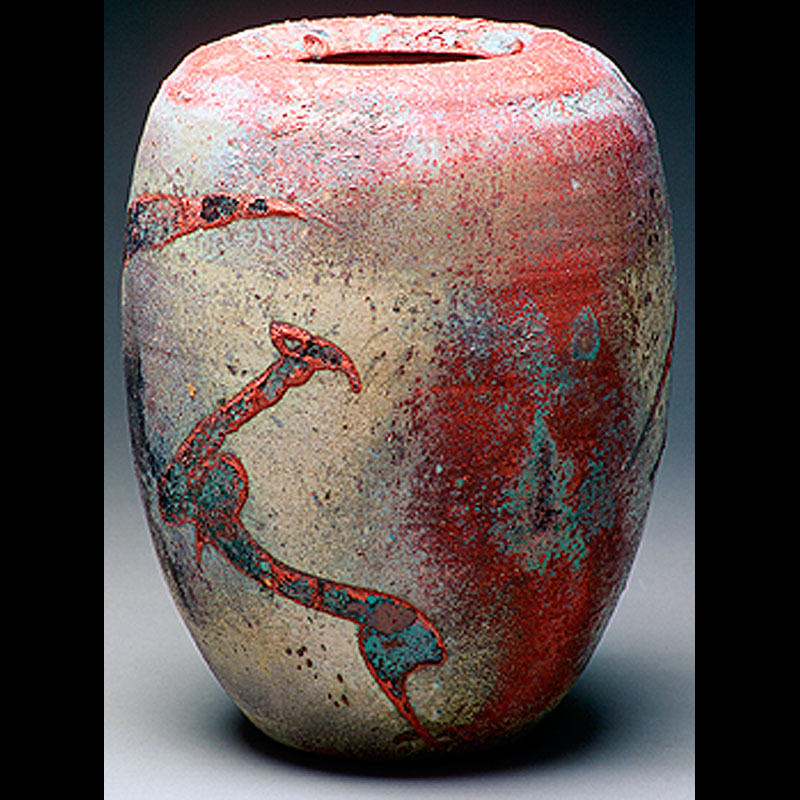 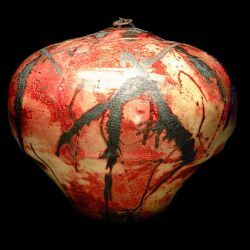 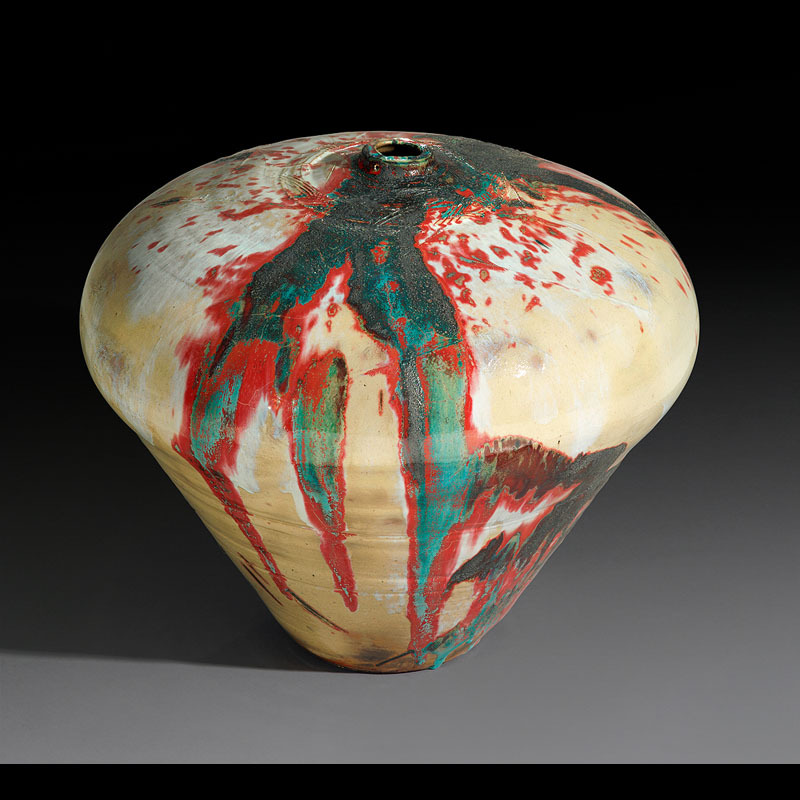 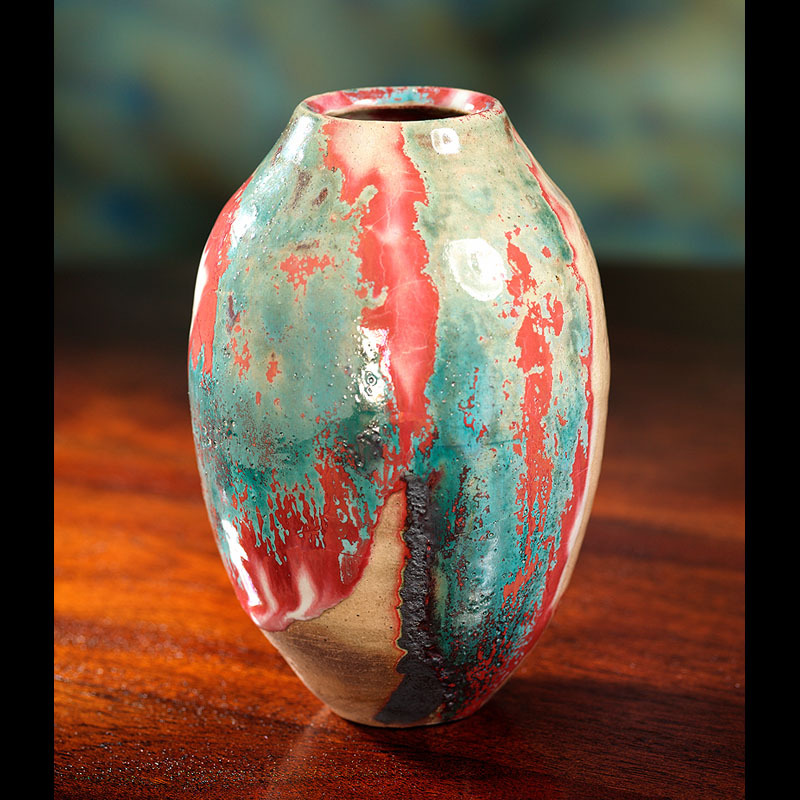 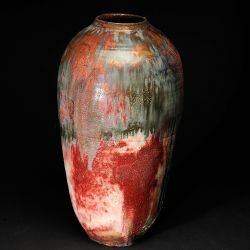 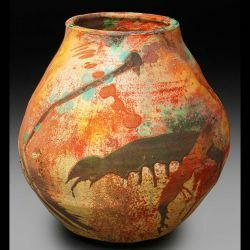 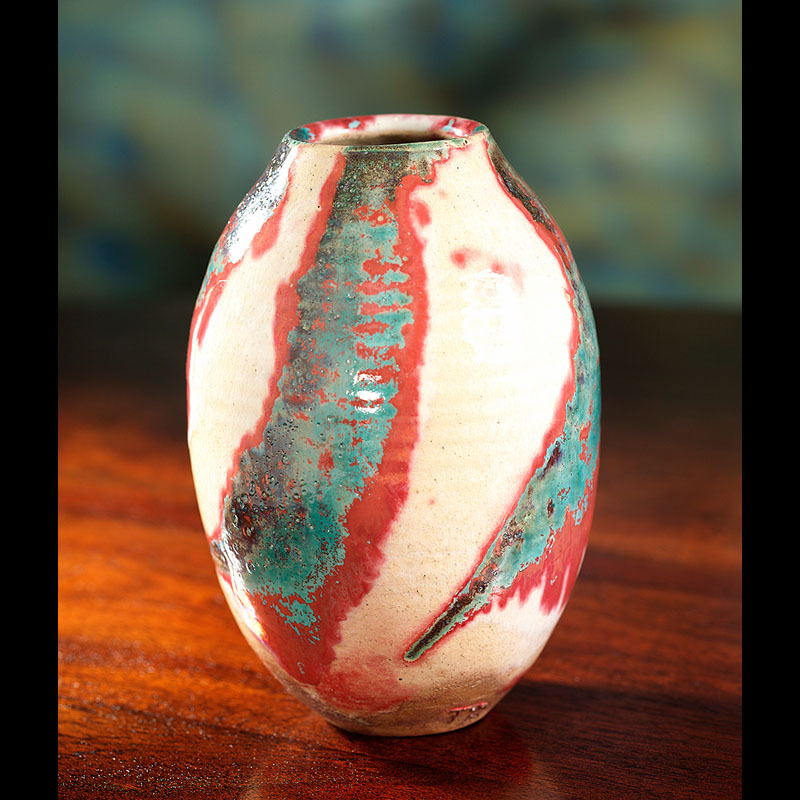 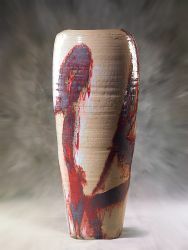 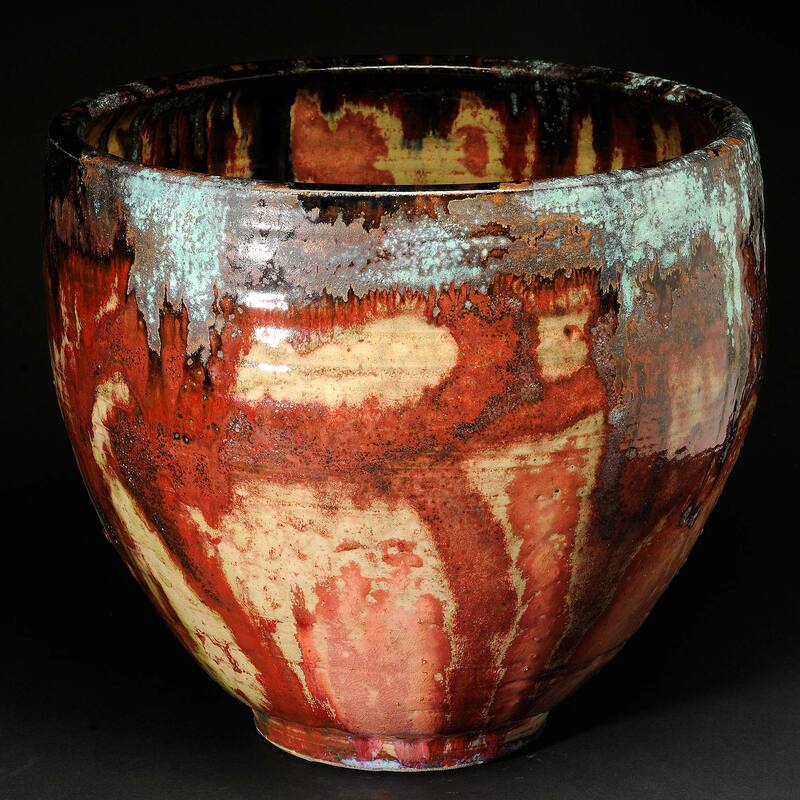 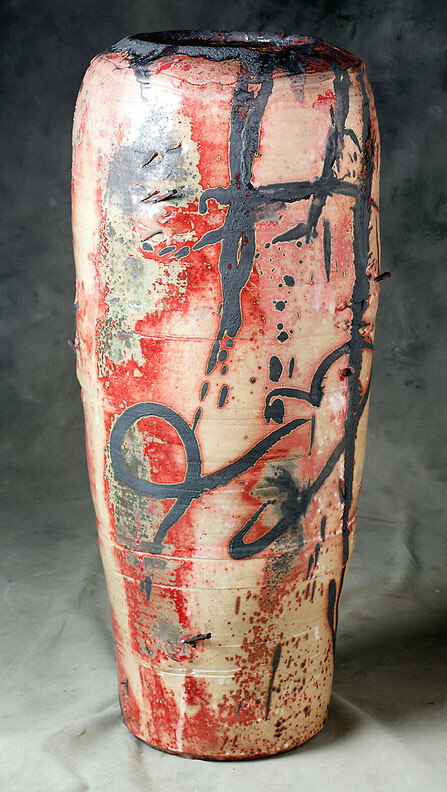 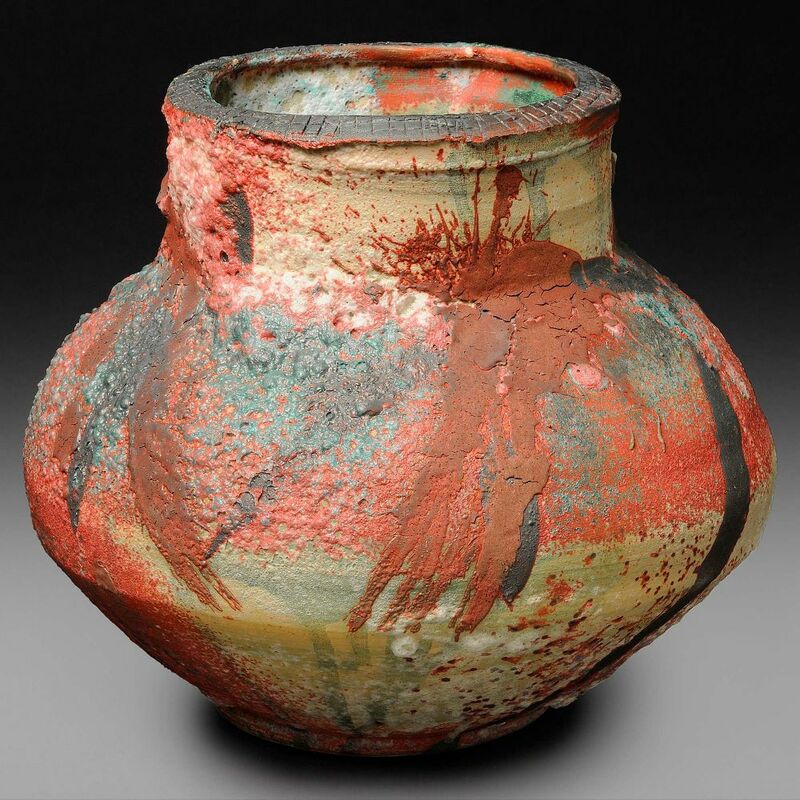 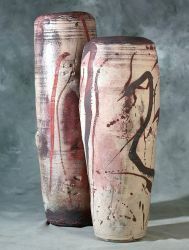 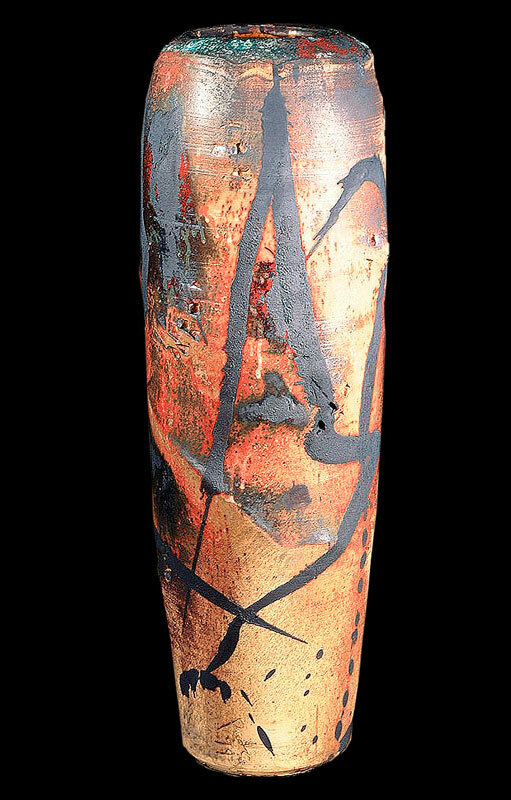 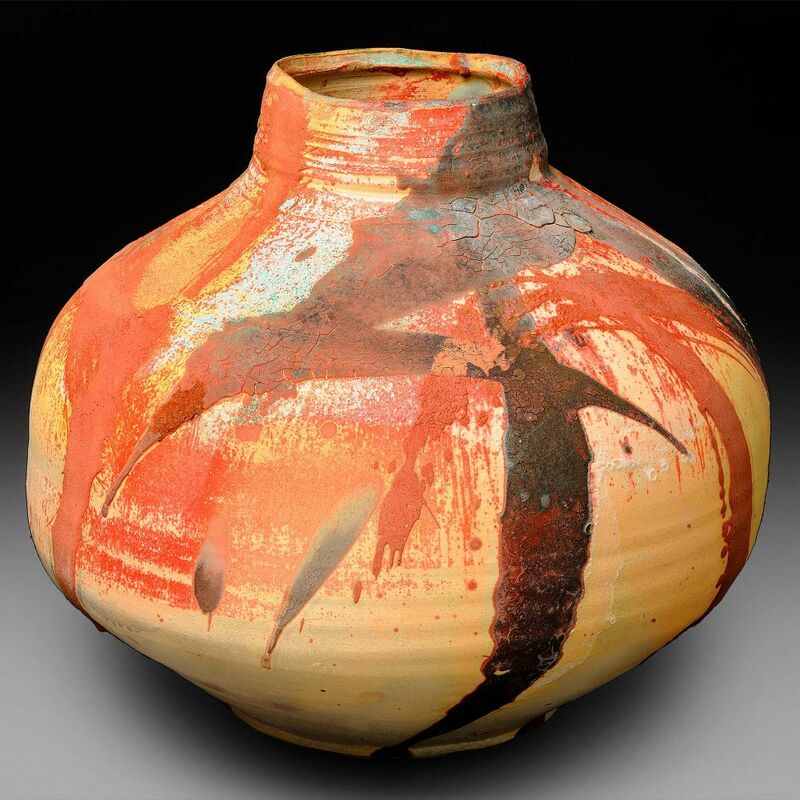 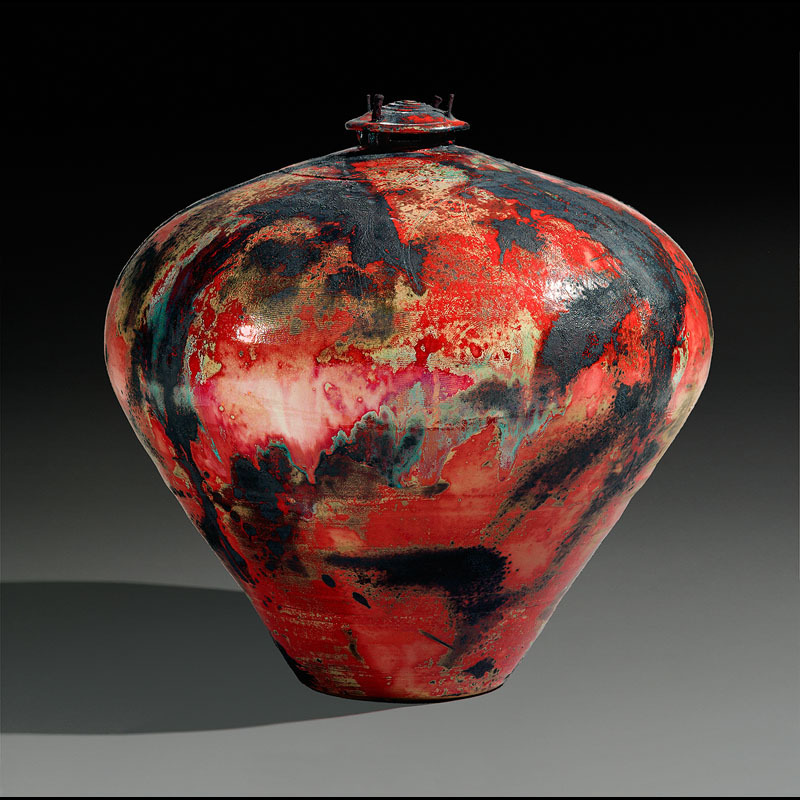 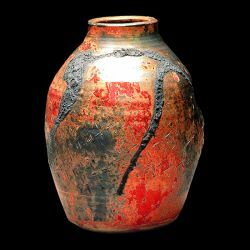 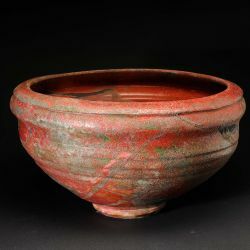 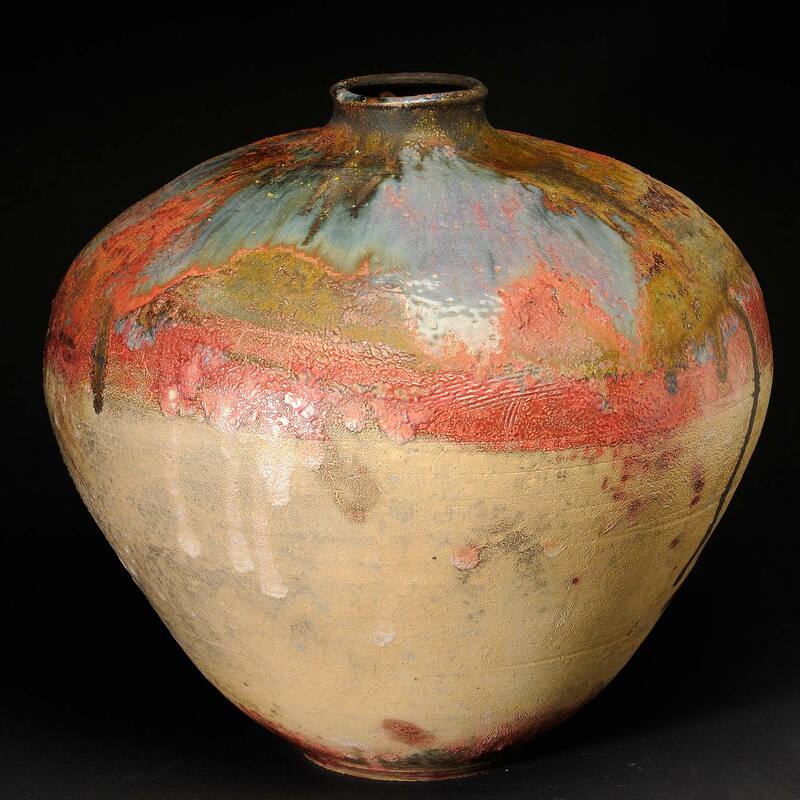 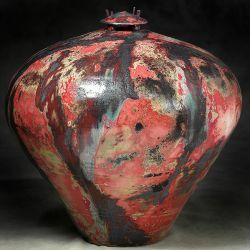 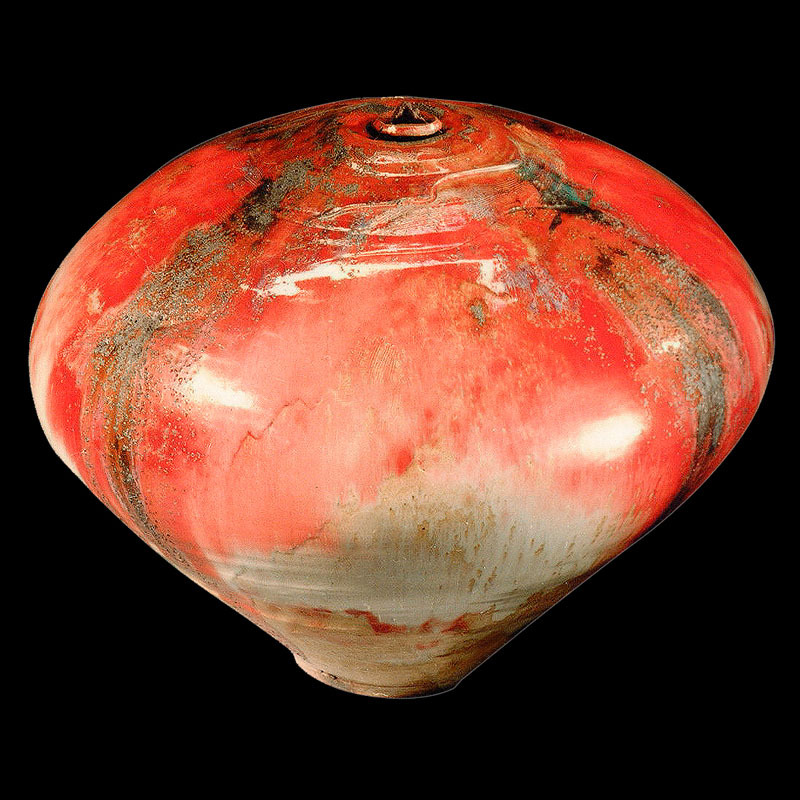 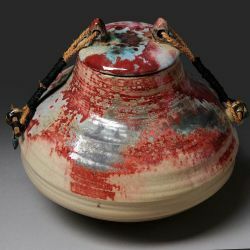 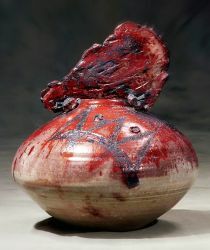 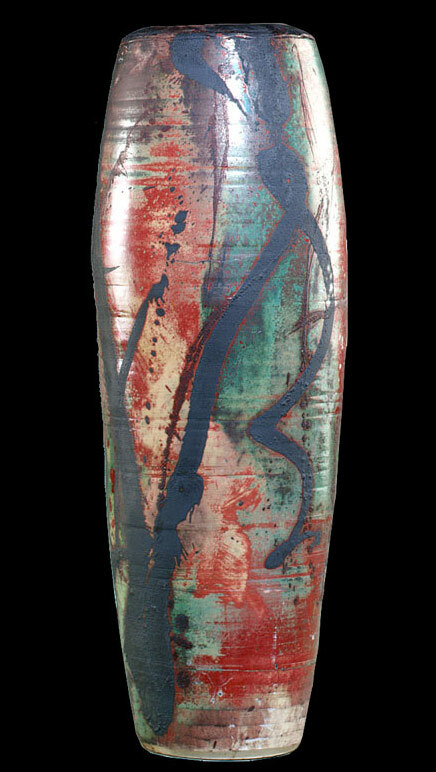 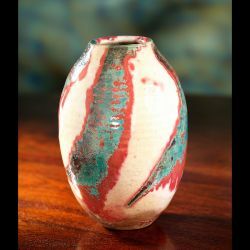 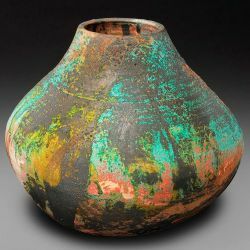 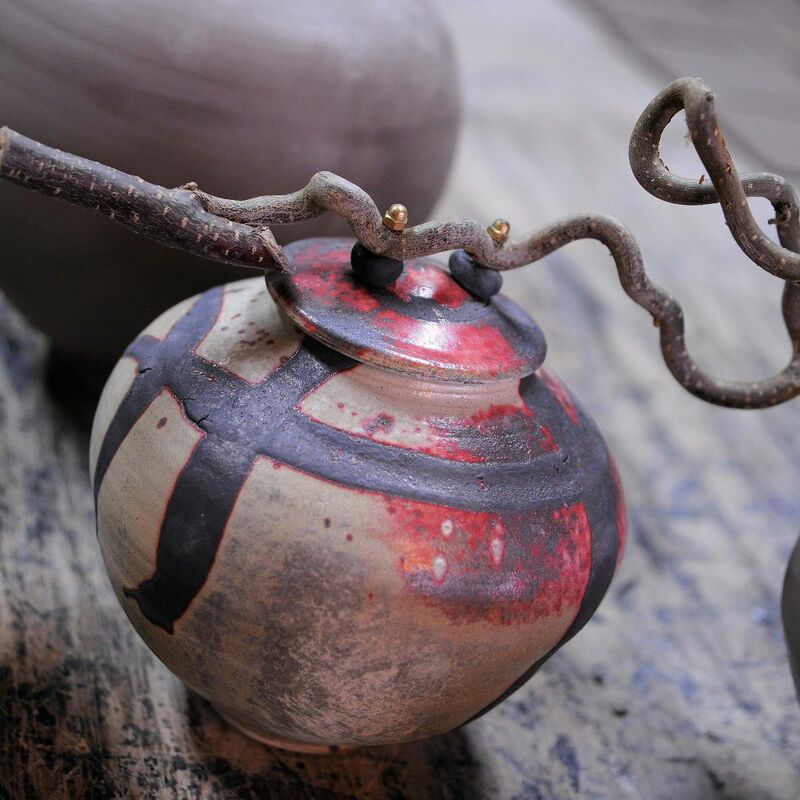 The warmth and splendor of Radca's pieces are attributed to his carefully developed firing process. 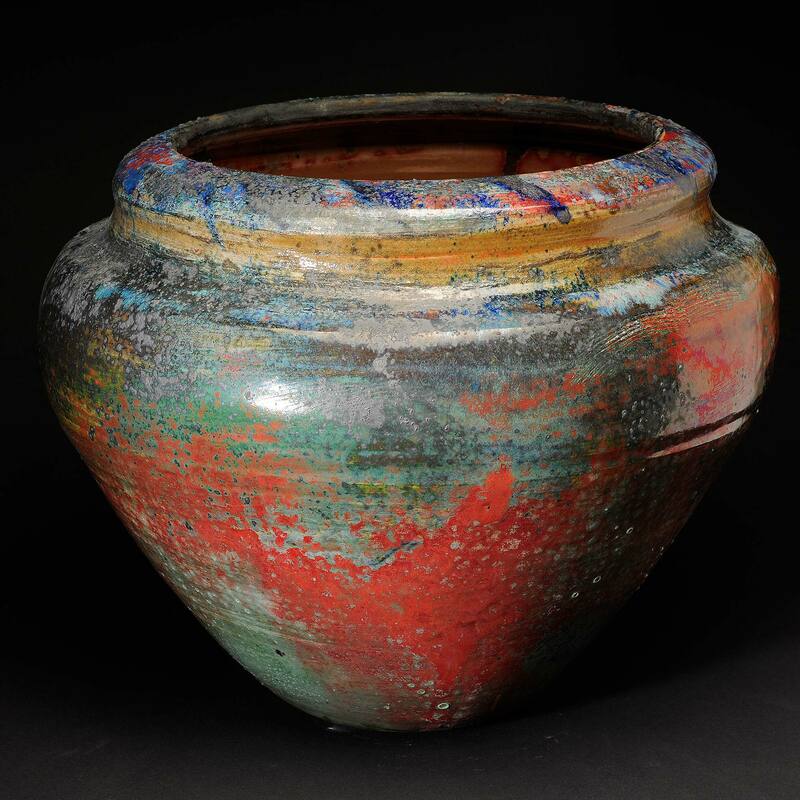 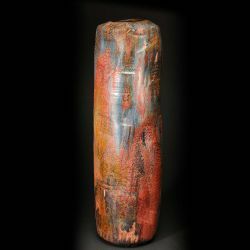 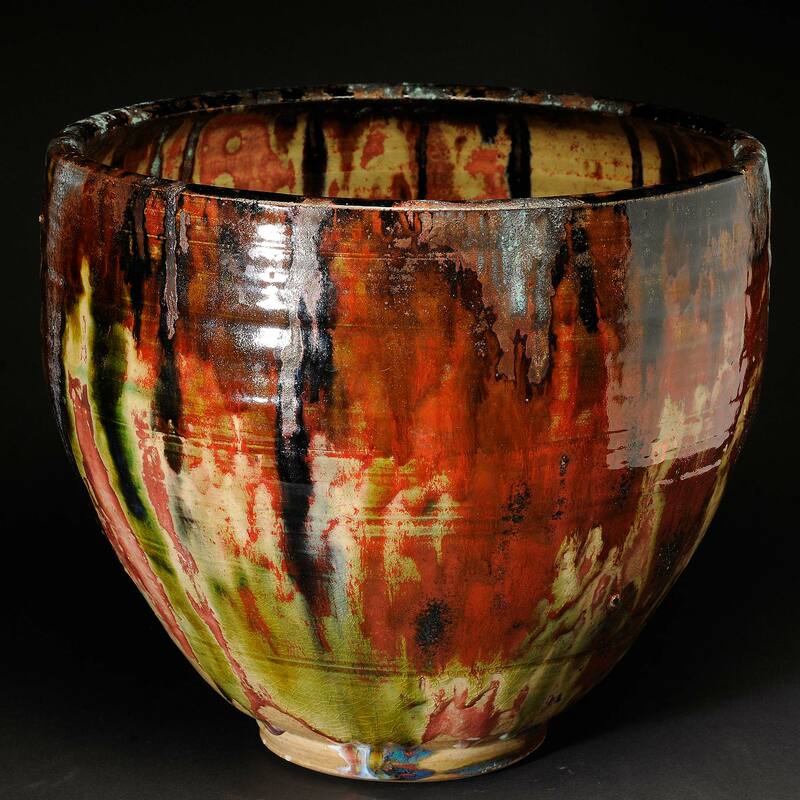 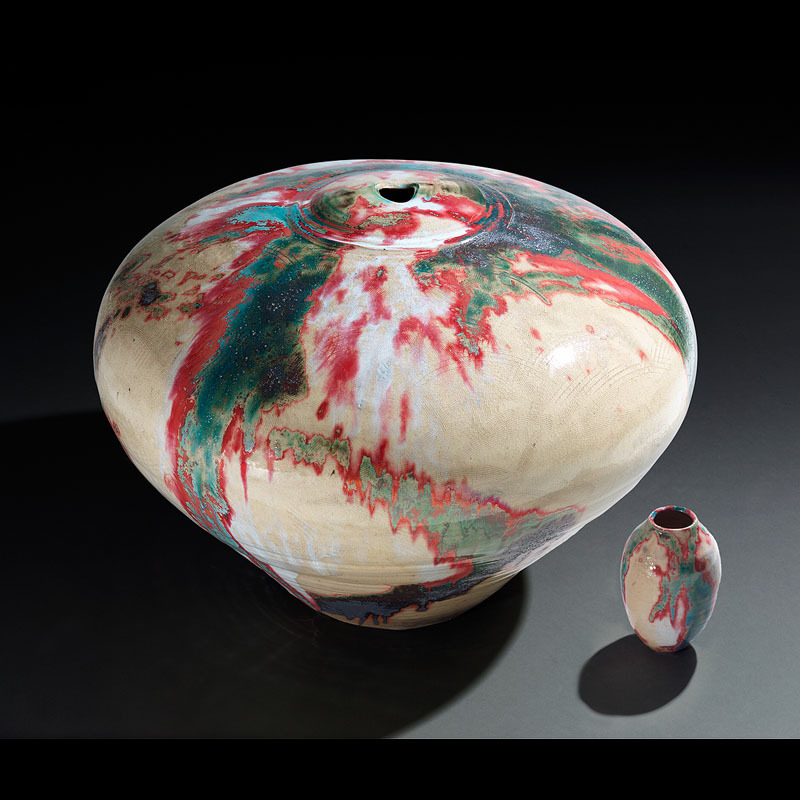 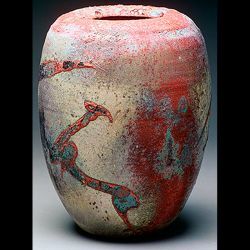 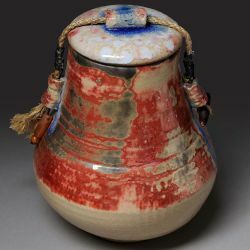 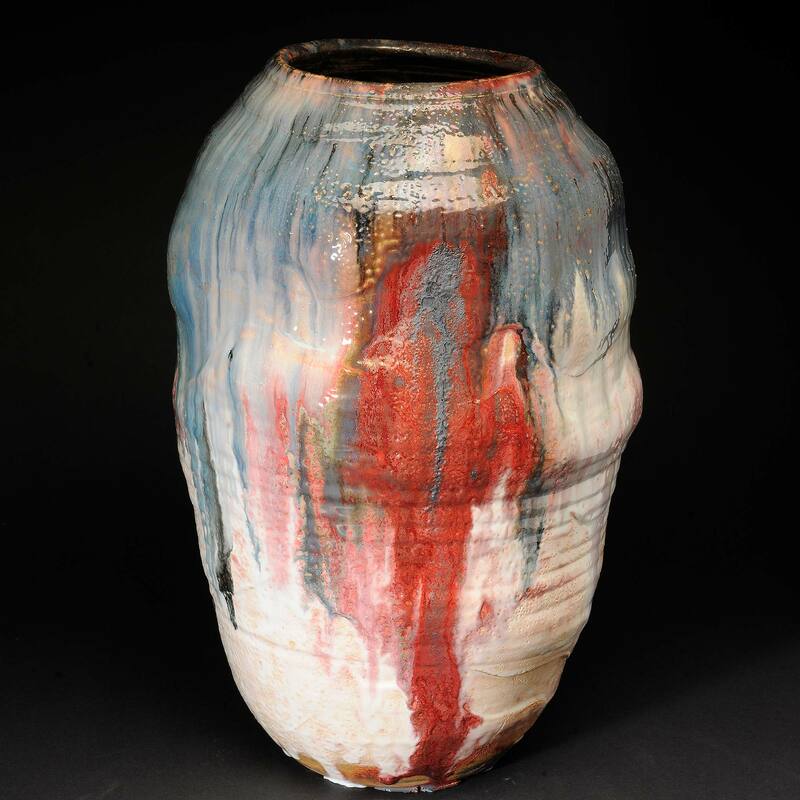 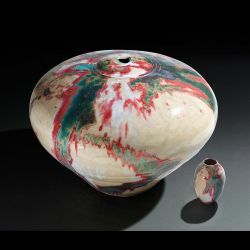 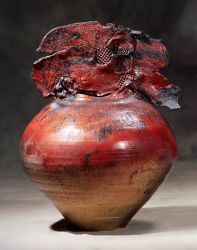 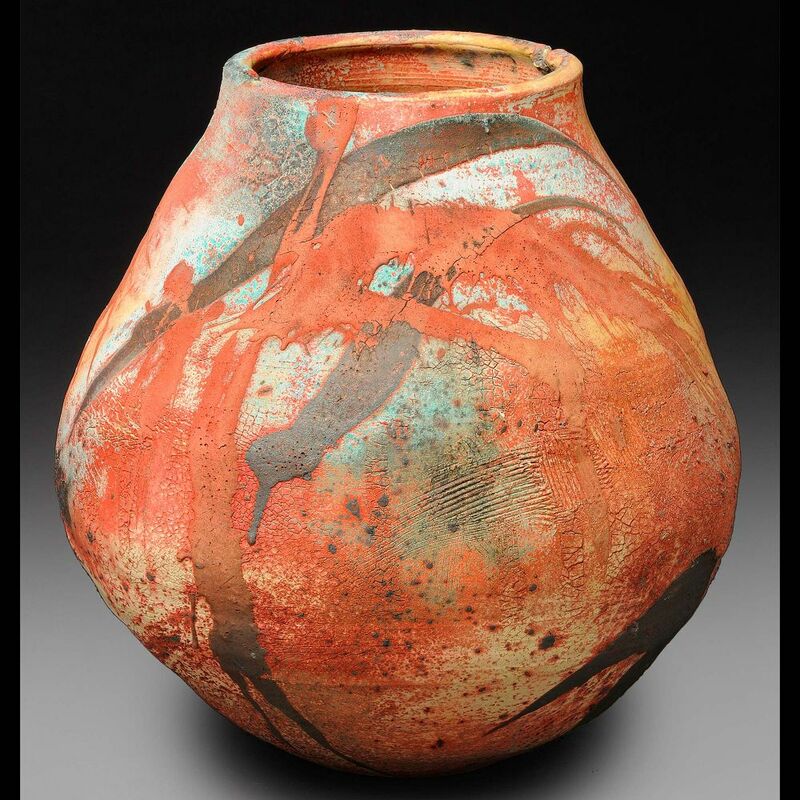 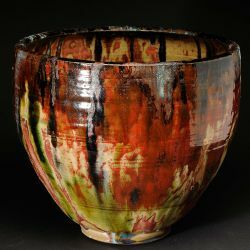 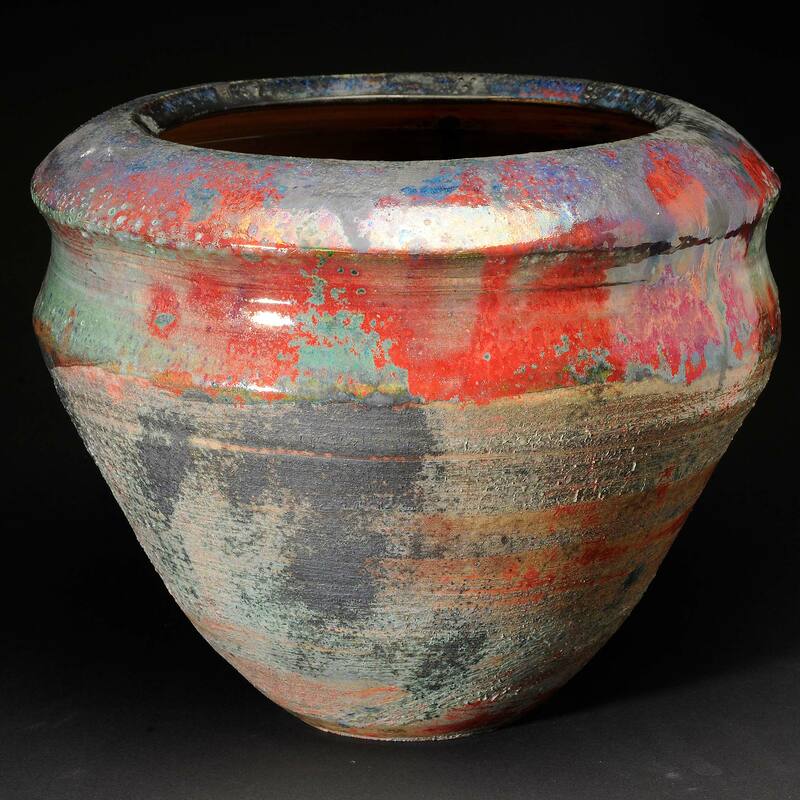 Color and effects result from controlling the temperature of firing and by introducing combustible materials to the kiln environment near the end of the firing process - a process he calls "Painting with Fire."